Nick Skelton began riding at the tender age of 18 months and spent many years riding for Ted and Liz Edgar after leaving school. He progressing through Young Riders, winning two Team Silver medals and one Individual Gold at the Junior European Championships in 1974 and 1975. Many years later, he holds the British Show Jumping High Jump Record of 7ft 7in, which he set in 1978. In September 2000, Nick broke vertebrae in his neck and was forced to retire from show jumping in 2001. Spectating didn’t suit him so Nick made a determined recovery and bravely returned to the competition arena. 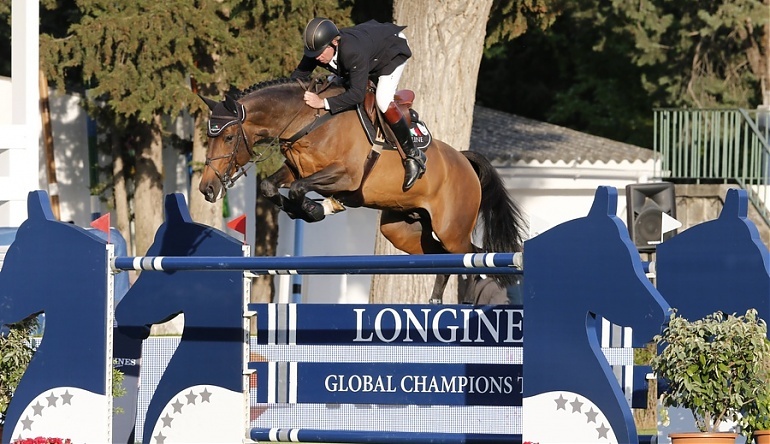 A few spectacular horses later, Nick added another major triumph to his illustrious show jumping career by winning a Team Gold medal at the 2012 Olympic Games in London. After his 2012 Olympic Gold medal, Nick was award an OBE (Officer of the Order of the British Empire) by Her Majesty The Queen.Nick says the most influential people in his career have been Ted and Liz Edgar, and his favourite horses are St James, Apollo, Top Gun, Tinka’s Boy, Dollar Girl, Arko, Carlo and Big Star. Nick thinks Global Champions Tour ‘should have happened years ago’.